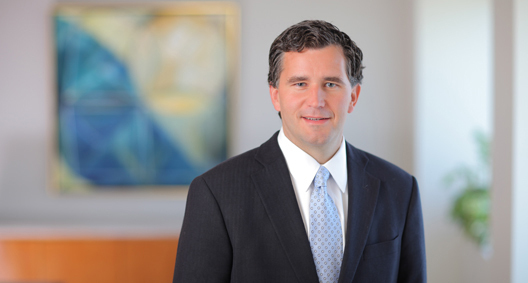 David Carney has more than a decade of experience prosecuting and defending complex litigation matters at both the trial and appellate levels. He has been involved in litigation at every step of the way, from reviewing documents to conducting research to conducting trial and appellate court oral arguments. David is currently responsible for identifying and analyzing case strengths and weaknesses and briefing and arguing dispositive legal issues in class action and appellate litigation, with a particular focus on matters related to data privacy. Represented a global automobile manufacturer in briefing and arguing an employment discrimination appeal. The Sixth Circuit affirmed summary judgment in favor of the client following oral argument. Represented a global automobile manufacturer in briefing a hybrid Section 301 Labor Management Relations Act appeal. The Sixth Circuit affirmed summary judgment in favor of the client without oral argument. Responsible for coordinating the drafting of dispositive motions in numerous class action lawsuits filed against a healthcare provider following the theft of a computer containing unencrypted patient information. Claims have been asserted under the Fair Credit Reporting Act, the Illinois Consumer Fraud Act and various common law theories. Part of a litigation team defending a national bank against alleged imprudent investment claims for allowing employees to invest in artificially inflated company stock. Believed to be the first Employee Retirement Income Security Act stock-drop case dismissed on its merits for failure to adequately plead loss causation under the Supreme Court's decision in Dura Pharmaceuticals v. Broudo. The decision was affirmed by the Sixth Circuit on appeal. Part of a litigation team defending a national bank against alleged imprudent investment claims for allowing employees to invest in artificially inflated company stock. The case was dismissed for lack of standing because the plaintiff sold more artificially inflated shares of stock than she purchased during the proposed class period. The decision was affirmed by the Sixth Circuit on appeal. Part of a litigation team that defended an Ohio teleservices company against a challenge to First Amendment-protected charitable solicitation speech. The case was settled following a briefing on dispositive motions and class certification issues. Responsible for briefing and defending a summary judgment in dispute over a $60 million earn-out provision for a global aircraft parts manufacturer. The case was settled following a briefing on summary judgment. Defended an insurance company against federal Stored Communications Act and privacy claims related to the alleged unauthorized viewing of an adversary's Facebook page in prior litigation. The case was settled following a briefing over the scope of release executed in prior litigation. Was the lead in drafting briefs for a national bank in an appeal from an adverse $40 million unfair competition judgment in Hawaii. The appeal raised issues regarding statutory standing under the state's unfair competition law and the validity of the jury's damages award based on the special verdict form. The case was settled following an appellate briefing. Argued an appeal in the Sixth Circuit on behalf of a Michigan prisoner in a case regarding a Section 1983 claim against corrections officers who had filed false claims against the client. The Sixth Circuit reversed the district court decision dismissing the client's First Amendment retaliation claim. Briefed and argued a Seventh Circuit appeal involving a Section 1983 claim concerning warrantless search.